Come on everyone...Spread the word. More teams, more money. 100% payout! If you are not playing on a team please consider volunteering at this event. Volunteers are needed for the 50/50 Raffle sales, concession/beer stand and set-up/tear down. 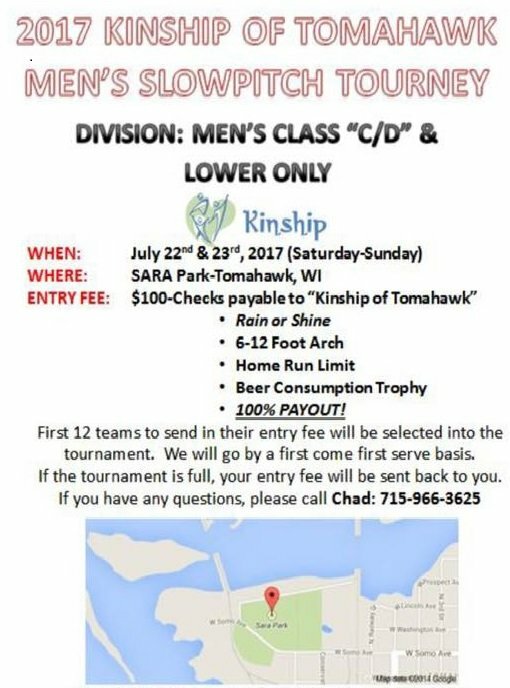 Please help support our Kinship of Tomahawk fundraising effort!! !